You have arrived to the redesigned Op5 website—where a sleek, modern style meets better usability. Marketing experts vary on how old your website can get before a redesign is critical. But most advice falls between the five to ten year range. It might seem like a never-ending cycle of changes, but for any company engaging online, which is and should be most businesses, a new website design is a top-priority investment. New technology is developed every day that can benefit how your website functions, specifically load time. And to stay relevant, companies must also change their look to match changes in cultural shifts and styles. Finally, with a mobile, tech-savvy audience, customer expectations for commercial websites are becoming more demanding, and missing the mark means missing out on the business. 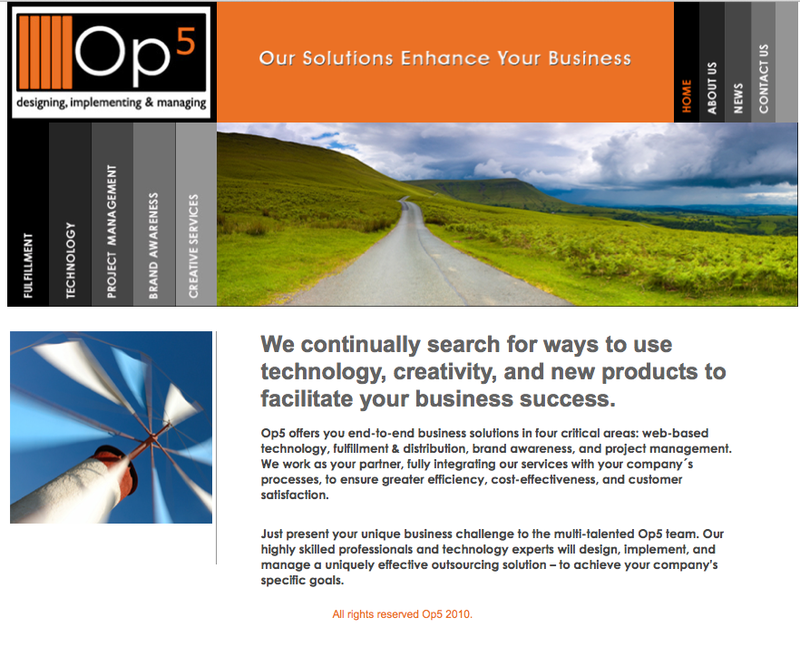 At Op5, we knew if we wanted to continue to be a leader in our field, so we had to showcase ourselves. So three months ago we started tackling a project to ensure the first impression from our website sticks in the minds of our potential clients. The biggest change is the layout, which has moved from the more traditional left-side navigation to a more modern centralized flow. This infographic from an Inbound Marking article, “5 Data-backed Reasons to Redesign an Ugly Website,” shows how an audience will engage with our content and messaging. Now, our information can be accessed in a number of ways—not tied just to the navigation bar—breaking down information with messaging and images that can be clicked to access aother page with more detail. This website redesign project has given Op5 a great chance to review our content with multiple rounds of conceptualizing, prioritizing, reviewing for tweaks and major reorganizing. The vast amount of services we offer, like trade show materials, kit assembly and bulk mailing, will now be more apparent. 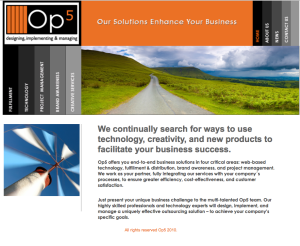 We are the team to call to solve any fulfillment and project management issues, and our website makes it apparent that the Op5 team knows about the industry and how demands are changing. Please keep checking our blog for more news on integrated platforms and warehouse management systems, and how using Op5’s customized applications for logistics management is the way of the future—much like this modern web design.